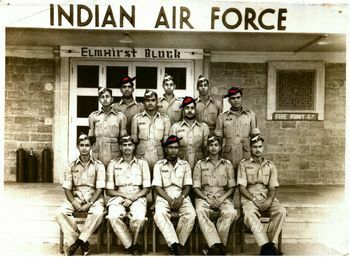 The first batch of HT-2s that were delivered to the IAF in 1953. 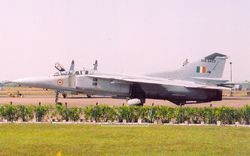 These were flown to Delhi to take part in the Republic Day Flypast. 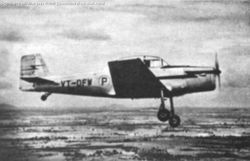 The prototype of the HT-2 in flight. First prototype in flight on Aug 13, 1951. The aircraft was lost in a spinning trial later on. 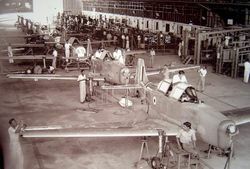 This unique photograph of the HT-2s production line shows the various stages of assembly of the airframes. 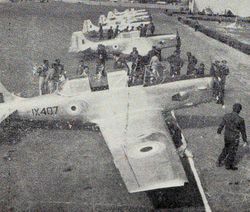 There are a total of Ten airframes under production here, from the bare cockpit frame in the rear to the nearly complete aircraft in the front. Two early production HT-2s under going testing flights over Bangalore. A Lycoming powered HT-2 at HALs Bangalore facility. 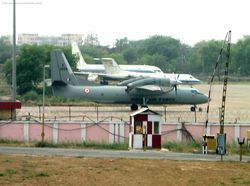 The aircraft served with the Air Force Academy till the late 1970s, before being replaced by the HPT-32 Deepak. An artistic rendition of an Indian Air Force HT-2 [IX736] ab-initio trainer. 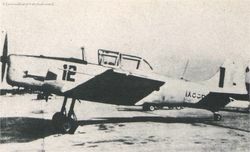 HAL HT-2 [IX856] before being assigned to the Navy. 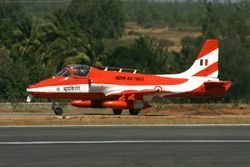 HAL HT-2 [IX856] is believed to have been handed over to the Indian Navy.